Check out the season 2 premiere of VH1’s hit series ‘T.I. &Tiny: Friends & Family Hustle‘. Look for the show which follows T.I. his wife Tiny and their kids to return with some new guest added to the crew. 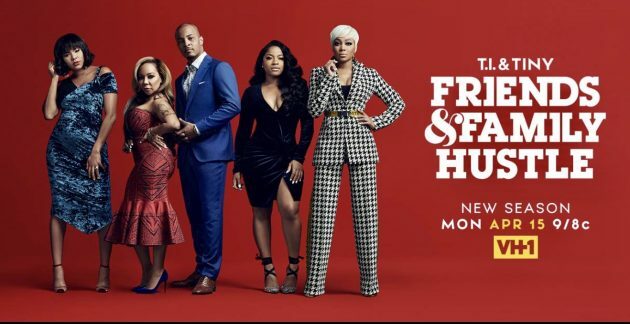 Superstar Monica , Grammy Award winner Letoya Luckett & Toya Wright are all returning with their family in tow for one hell of a season.